2018 has been quite the roller coaster ride for Sal Romano. HeÃ¢â‚¬â„¢s the typical young pitcher who has dramatic highs and lows throughout a season. The 24-year-old started the season allowing 11 earned runs in 15.1 innings (three starts), but rebounded in his next four starts, only giving up seven runs in 27 innings. Then came the May stretch. From May 14 against the San Francisco Giants to June 6 against the Rockies, Romano really struggled, giving up no fewer than four runs every start and making fans wonder if he would be sent down to Triple-A Louisville. But Romano has once again bounced back. Aside from a start against the Chicago Cubs where he gave up five runs, Romano has pitched well enough to stay in the rotation. HeÃ¢â‚¬â„¢s only given up three runs in 20 innings, and has struck out 13 while walking seven. That brings us to last FridayÃ¢â‚¬â„¢s start against the division-leading Milwaukee Brewers at GABP. Romano pitched five innings and gave up seven hits but only allowed two runs, including one home run, while striking out five. ThatÃ¢â‚¬â„¢s a 3.60 ERA and one inning shy of a quality start. (Update: Romano pitched yesterday against the White Sox and gave up four runs in five innings, including two home runs. He did strike out six, and did not walk a batter). Yet in his post game interview after the Brewers game, manager Jim Riggleman made no excuses for Romano, saying he needs to pitch better. From the tone of his voice, it was obvious he was beyond frustrated. "I don't draw many positives out of that game tonight, Sal's better than that." Romano has four pitches: fastball, slider, curveball and change-up. He primarily uses his fastball and curveball; however, he has mixed in the slider for 5.5% of his pitches in 2018. He didnÃ¢â‚¬â„¢t use a slider at all in 2017. Because of the slider, Romano has used his change-up slightly less (6.0% in 2018 compared to 9.4% in 2018). Adding a slider to his arsenal seems to have helped him. The slider and curveball are important tools for him when he is able to locate them, especially when heÃ¢â‚¬â„¢s had trouble locating the fastball. ItÃ¢â‚¬â„¢s easy to compare Romano to his other young teammates, Luis Castillo and Tyler Mahle. Both Romano and Castillo are in their sophomore seasons, while Mahle still has rookie status. Although Castillo and Mahle have both shown to be better pitchers than Romano thus far, both still have somewhat similar stats this season, particularly Castillo. RomanoÃ¢â‚¬â„¢s 92.2% z-contact% (number of times a batter makes contact with the ball when swinging at pitches throw inside strike zone) is much higher than either Castillo or Mahle. Both of their z-contact% is around 80%, while their contact% is about 75%–Castillo has a lower contact% than Mahle, though. RomanoÃ¢â‚¬â„¢s is at 83.1%. Batters are making contact at a much higher rate off Romano than off Mahle or Castillo. Romano isnÃ¢â‚¬â„¢t giving up more home runs than Castillo or Mahle; in fact, his HR/9 of 1.61 is lower than Castillo’s and just above Mahle’s. His BABIP is about the same as their’s as well. But the difference is Castillo and Mahle are getting more swings and misses from batters than Romano is. RomanoÃ¢â‚¬â„¢s SwStr% (percentage of strikes that were swung at and missed) is 7.5%. Even with CastilloÃ¢â‚¬â„¢s struggles, his sSwStr% is at 14.0%. MahleÃ¢â‚¬â„¢s is at 10.8%. Batters are just making more contact against Romano, and therefore more likely to get hits when the ball is in play. This also shows in the z-swing% and swing%, as Romano is about three percentage points below Mahle and six percentage points below Castillo in both categories. Riggleman may be frustrated with Romano, but Romano is showing progress and thatÃ¢â‚¬â„¢s what you want from players who arenÃ¢â‚¬â„¢t 25 years old yet. Obviously Riggleman could know something the fans donÃ¢â‚¬â„¢t, such as attitudes of players or mechanics that need to be fixed, and it could be the reason for the frustration. But from where I sit and watch, Romano is having a typical season for a pitcher trying to figure out what went wrong in one start and then fixing it in the next start. Mahle may be better at getting out of jams than Romano and both he and Castillo may just be better pitchers, but that doesnÃ¢â‚¬â„¢t mean Romano is not performing adequately thus far this season. He’s pitching well enough to continue in the rotation, and sending him down to Triple-A when Homer Bailey returns would be a mistake. I’m curious, how is “working on things” in the minors different from “working on things” in the majors? As far as I can tell, the benefit of “working on things” in the minors is that it won’t cost the big league team wins. 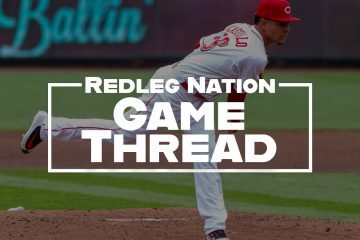 The Reds are not quite in win mode yet, so it would seem it’s even MORE beneficial for the young guys to “work on things” in the majors, to see how their stuff plays against MLB quality hitters. This is the way the rebuild should have been all along. As soon as it was apparent the Reds were going to rebuild and weren’t trying to win, all the young guys should have been in the MLB with a leash that stretches to the moon. The fact that the offense is ready to compete but the pitching isn’t shows just how giving pointless innings to pitchers like Arroyo, Adleman, Feldman, Bonilla, et. al. set the clock backwards. Mostly because when you are working on something, but not quite there, for example his slider last night, it gets deposited to the seats and he becomes afraid to use it, The announcers caught on to this last night and made a comment that he hadn’t used it after giving up a home run and the White Sox hitters didn’t even need to worry about it being thrown. In the minors he can get away with more and continue to develop that pitch. The interesting thing about Robert Stephenson is that he’s a perfect example of why “working on things” in the minors can have a negative impact on a pitcher’s development. Bob Steve has the kind of stuff that absolutely overpowers minor league hitters. As a result, he is (reportedly) full of himself and doesn’t believe he needs to change. As we saw when he was up last time, his stuff does not phase MLB hitters, and he gets the snot beat out of him. But he’s set in his ways from his stuff working in the minors, and it’s apparently been hard for him to adjust. He walks too many people, but he doesn’t care because he feels like he can still be successful with brute force. That will not and has never been a recipe for success in the MLB. After Thursday night RS has something on the order of 5BB and 29K’s in his last three outings (17IP). He set a personal high for K’s 2 games ago (11) time then broke it on Thursday (12). Also consider that he posted a ERA/FIP of 3.30/4.22 in 11 MLB starts in 2017; and along with his 2018 AAA work, it appears he is as ready as a guy is going to be. Meanwhile Romano has an ERA/FIP of 5.40/5.18 and Castillo an ERA/FIP of 5.53/4.76 so far in 2018 (~18 starts). 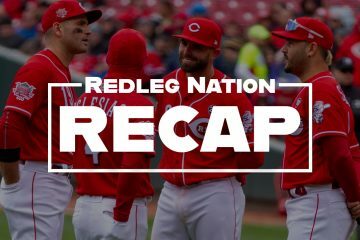 Maybe it is time for the Reds to stop looking for reasons why one guy might fail and others guys might get better and instead look at actual results. Regarding becoming afraid to use his slider, who is calling the pitches? If Romano starts shaking Barnhart off every time he calls for a slider, then Barnhart, or Darwin, needs to come out and educate Romano. If Barnhart stops calling for the slider when that is the right pitch for that batter/count/situation, then someone needs to have a talk with Tucker. Late to the party here but exactly. A minor league hitter smacking the slider would have the same effect, wouldn’t it? I can see your point, but it comes down to an organizational assessment of whether he has much left to learn in the minors. I listened to a goodly portion of Stephenson’s performance on Thursday; and by happenstance it was the opposition radio feed and not the Bats feed. I say this because the guys calling the game were marveling that RS was racking up his K’s on breaking pitches and seemed to be mixing a slider looking pitch with a curve. He was throwing them often on fastball counts for both swinging and called strikes. The only way to see if stuff like that plays effectively in the majors is to see it being thrown in the majors because obviously based on recent outcome, a variety of minor league hitters can’t catch up to it; and, it is good to the eye of a number of minor league umps. I’m with you on this. If whatever circumstances force a team to use not-quite-ready pitchers in the bigs, those young guys can still develop. Besides costing the big league team wins, it takes a little more time at the big league level. Part of that developmental time would have been at AAA “working on things”. In defense of Bill, I think he was being critical of how the Reds handled the DL’d staff and the young guys. I don’t think he is ready to DFA Romano and the all the other young guys. As far as comments below, I also am not on the Romano band-wagon. Not that he should be cut or traded, but that indeed he is not a major league pitcher yet. But that is the whole point of the developmental time talked about above. It is painful to go through the ups and downs and the losses but that is what it takes to get a young guy to the point he can pitch in the bigs. Sorry, I’m not on the Sal Romano band-wagon. He’s pitched 848 professional innings. At 1,000 innings, given their performance, a pitcher indicates whether they are a starting pitcher or reliever. Castillo and Mahle have pitched about 200 less professional innings than Sal. Their performances indicate they can survive as starters. Sal is a reliever. He really hasnÃ¢â‚¬â„¢t shown improvement. He continues to give up more hits than innings pitched. His BB/9 is always over 3; WHIP over 1.4. Sal may be a nice guy, but heÃ¢â‚¬â„¢s a mediocre pitcher. I’ve grown weary of 5-inning Sal. He showed up again last night. It’s looking more and more like he might be best suited for the bullpen. The Reds, and all of baseball, have a lot of 5-inning starters. I don’t have a problem with Riggleman’s stance on Sal. He’s in the big leagues. Gotta handle being treated like a big boy. The name of the game is winning. He has to be better. He has to get better. P.S. It’s the same stance Bryan Price wouldve had too. The expectations are high in the bigs. The one thing I did like about BP is that he would tell his pitchers to put there big boy pants on and get the job done. No excuses. Just results. Depends on the pitcher….or position player. Price was far from consistent in how he applied his tough love. Just ask Stephenson/Reed/Winker compared to, say, Arroyo/Adelman/Romano/Peraza/Hamilton…..you get the idea. Since the Reds added Harvey to the rotation on May 11th, their record is 27W & 22L. The Reds record since DeSclafani was activated on June 5th is 17W & 10L. With their offense & bullpen, the reliability of the rotation is crucial. He may be 5-inning Sal. He may be mediocre. but mediocrity is not disaster. Reds are winning some of those games. The Reds will probably be changing 1 sp this month if they find a trading partner for Harvey. Let’s give Romano a few more starts & see where the team is. 5.40 isn’t mediocre. That’s bad. It would be one thing if he had a track record of success in the minors like Castillo or a nice run at the major league level. He has none of that? If my only other option is Bailey…then give me preseason football mags and I’ll check those out. Try Someone Else???????????????? Sure, demote Romano. Option him to Louisville, use up his last option. 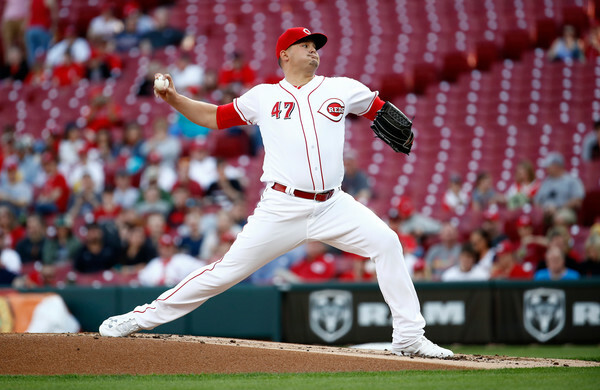 Promote Stephenson to Reds rotation, but what if RS doesn’t perform well. Say DeSlcafani comes up lame again & Reds get a good prospect by trading Harvey. Back to rotation bedlam again? Homer Bailey, Cody Reed, & Jackson Stephens? Bad is sometimes better than really, really bad. I think Romano was brought up too soon from AAA before he perfected at least three of his four pitches. Of the young pitchers, Castillo and Mahle seem to be a cut above Sal. It’s a rarity today that a pitcher goes to the 7th. inning or beyond, and it usually seems things go wrong for Romano by the 5th. inning or sooner. It appears Garrett is being groomed to succeed Iglesias if he’s traded, but I’d like to see him start some games in the 2nd. half of the season. Garrett’s success as a starter a couple years ago, before injury, is hard to forget. Milwaukee has 2 guys under a 3 era (counting Peralta) and 2 guys under 4. Suter is at 4.50 or something. None of those guys throws hard either? Guerra might get 95 on a good day! They can pitch though….change speeds and make guys hit their pitch. The Reds see a kid that can pump it in at 96-97 and they don’t even look at anything else til they start failing at the big league level. Both Romano & Castillo have pitched 6 quality starts in 18 starts this season. For the Brewers Chacin has done the same (6QS for 18GS). Guerra has 6QS in 16 GS & Suter has 2QS in 16 GS. For the Cubs Quintana is 7 for 17, & Chatwood is 3 for 15. I’m not suggesting who is the better sp ,but I am suggesting that Romano is doing a job as sp & no more poorly than sp on the division contending teams. I know I’m old school but era is still era? 2 runs in 5 from Guerra beats 4 runs in 5 from Romano. They don’t need to go 6 necessarily with their pen. Who would have higher asking price, Garrett or Iglesias? Looking at mlb.com, does not show a real good price on either. Still Iggy should be higher. No way I’m trading Garrett…LOL. Unless it’s for your #1 overall prospect who’s dominating the upper minor leagues AND the rights to Homer Bailey and his remaining $30 million. That will stop that nonsense. Exactly. If Garrett is traded and the return does not include somebody who comes straight onto the Reds MLB active roster and become an everyday performer or rotation piece,. that’s a huge step back for the Reds alleged “rebuild”. It might take a little additional “sweetener” along with Garret to complete such a deal; but, in the end, that has to be the impact of a deal involving him. I think the Reds deal a reliever to the Braves. Romano has had his moments and has potential. His velocity is good . His slider against the Cubs was outstanding. He’s a big strong durable looking guy. That said, Romano has gotten beat a lot. Might be time to send him to AAA to work on the change up. His development might be hindered as he is so focused on staying in the rotation, he might be limiting his development as a pitcher for fear of throwing secondary pitches and getting an early TKO. That fear leads to a steady diet of 2 seamers and sliders and by the 5 th inning….well MLB hitters figure it out. Bring up Stephenson, send Sal down for 10 starts to throw his change up. Agree and disagree. Romano simply must find an out pitch if he is going to succeed as a starter, a swing and miss pitch. I don’t think he finds that pitch during this season and this season is more than half over. At this point, I don’t want to see Romano optioned to AAA. Let him work out of the bullpen and during the off season work on the missing out pitch. He may need that option next season or he may find himself a successful home in the bullpen this season. We agree. Romano needs more development. Paul Daugherty is now on the reds propaganda payroll. Article today on Billy’s team best ability to score runs, using creative accounting. So if you ignore the home runs in the equation of Eugenio Suarez and Scooter Gennett in comparison to Billy Hamilton, Billy Hamilton actually scores a higher percentage of runs when he gets on base than Scooter or Geno. Imagine that. Latest iteration of batting order importance. Reds need Daniel Descalso. Maybe Sal’s issue with his multimode fastballs is that he hasn’t quite mastered which mode is coming out of his hand just when. Essentially the differences come from very fine gradients in finger pressures, location, and release point off of the two underlying basic grips and arm action. Seems to me this is precisely the sort of refinement which can and should be mastered in the high minors. INDY your right all the talk about throwing 98 – 103, what needs to be learned is control. Greg Maddox they say threw 92 – 93 but had great control. I wonder if pitchers get 2 strikes on a batter and start to nibble until the count is 3 – 2 then try to get a fast ball by the hitter and doesn’t make it. No wonder the pitch count and ERA are high. I never expected much out of Sal or any of these young guys which includes Bob or Amir or Reed or Lorenzen.Going 5 innings and keeping us in the game is all that matters right now because all are a work in process and will remain that way until the end of this year.I personally believe that the days of starters going 6 or 7 on a consistent basis is well long gone.The pitch count gets them or a pinch hitter has to be used because of being behind even if they are throwing good in the late innings.We have to let every thing play out and lets see what happens.Sal and all the rest know what they have to do to take the next step.Sal and Castillo need another pitch,Bob needs to cut down on the walks,Mahle needs to keep it in the park as does Castillo and the list goes on.Lets give them a chance to figure it out.Unless you have the money to buy it then you better develop it. BobSteve 6 ip, 0 runs, 1 walk, 12 Ks….but lets leave him at AAA all year until he ends up in another organization while the Reds have multiple young pitchers struggling with mid 5 eras. OF Clint Frazier 3-4 with 2 HRs tonite at AAA. I’d give the Yankees whatever they want for him. I guess the Yankees are probably grooming him to replace Gardner, but the Reds should try to put something together. They’re in the discussion for JA Happ for Harvey is better (and much younger) if he’s right! Maybe, just maybe it’s coming together for the Reds pitching. Best outing of the year for R. Stephenson with 6 innings of 2 hit, 1 walk, shutout baseball while recording a full dozen K(s). He may yet be ready for a callup when Harvey is dealt. Maybe Stephenson is finally focused and hungry. No Herrera in lineup. Wonder if he’s in chicago now. I was doing some Michael Lorenzen backstory research a couple of days ago and came upon the transcript of an interview with ML in 2014 that Randy Young conducted for Doug Gray’s site RedsMinorLeagues.com. In the course of the interview Lorenzen gave an answer that stopped me cold given the current narrative about Robert Stephenson. RY: “Which teammate is the most competitive, they gotta win at everything? Cards, everything”. BobSteve needs Romano’s spot! Romano was always mediocre in the minors? A 4.30 era and .270 batting average allowed. This kid I’ve been looking at for the Phillies….Enyel De Los Santos. 22 yrs old and a 1.81 era at AAA. A .212 batting average allowed. I think thats where I would focus my attention for Iggy. Bottom line…if Romano can’t beat minor league hitters then how is he going to succeed w/the Reds? I’m ready to swap Romano and Stephenson. Decent performance by Romano so far, but needs to develop secondary pitches. Place to do that is AAA, especially when blocking another young pitcher who needs to be looked at.